Hi, we are the Senior Student Leadership Team! The SSLT comprises of five pairs of head students, each with a varying role. This year our main aim is to improve involvement within the Calthorpe Community as we believe it is important to embrace opportunities. 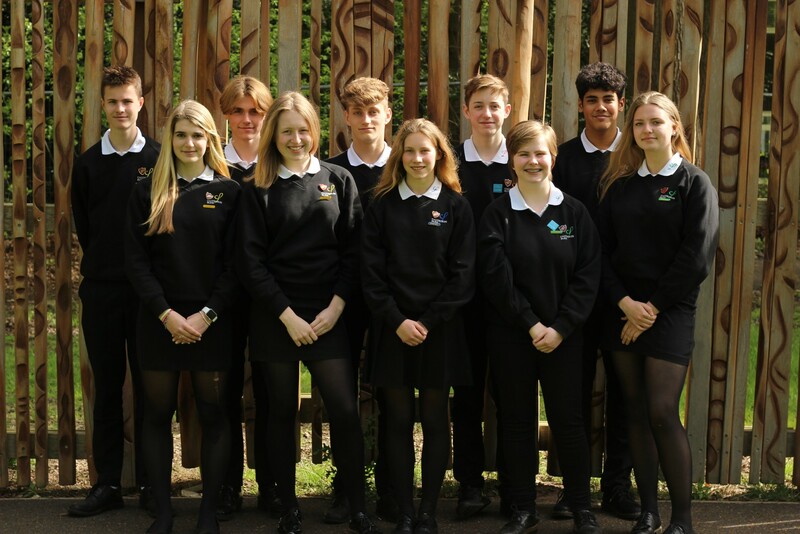 We work hard to help maintain the smooth running of the school alongside staff by guiding the Prefect team, voicing student ideas, organising and advertising events and promoting the school's values. As Heads of Communications and Marketing, we feel that it is essential that vital messages are distributed throughout the school clearly and efficiently, mainly through the use of Moodle. The job entails organizing the press firm which promotes various events across the school, such as Citizenship days. Furthermore, we help the Calthorpe school community by ensuring that the Calthorpe Way is respected by all students. We also aid the other members of the SSLT and the Prefect Team through communicating and advertising. Our responsibility as Heads of Charities is to change people’s lives for the better. As it stands, Calthorpe Park School holds a remarkable reputation of raising money for charity by hosting events such as mufti days and the SLUGG walk. We both intend to moderate these highly appreciated events and continue this money-raising momentum to help those who are far less privileged than us. We are the Head Girl and Boy of Prefects. Our role centres around the organisation and leadership of the excellent group of prefects here at Calthorpe Park School. This means that we run the weekly Prefect meetings, help to ensure the smooth running of prefect firms and devise rotas for prefect duties. These duties involve all major events at Calthorpe, from parents' evenings to SLUGG walk. Whilst carrying out such an active role in our school community, we always endeavour to be approachable and friendly faces for younger students and encourage them to get involved in school life. As Heads of Student Voice, our role is to bring the students’ opinions to the forefront. In doing so, we hope to achieve a better school experience for students in our community by acting upon their ideas. We help run the primary platform for the student voice, Speakouts, and integrate the students into the improvement of our school community. We are James and Lucy, head students of REaL3. Our main responsibilities include; running weekly REaL3 meetings, as well as working with other members of the SSLT team and student population to positively impact the school community. REaL3 stands for Rights, Respect and Responsibility in Education and Learning and its main aim is to promote the UNICEF convention on the rights of a child. We run our group weekly from 3-4pm on a Friday in A3, and discuss events such as the Fairtrade conference and continue working towards our Rights Respecting Schools Award.